Each of the two rows is held in place by means of a thin copper wire. 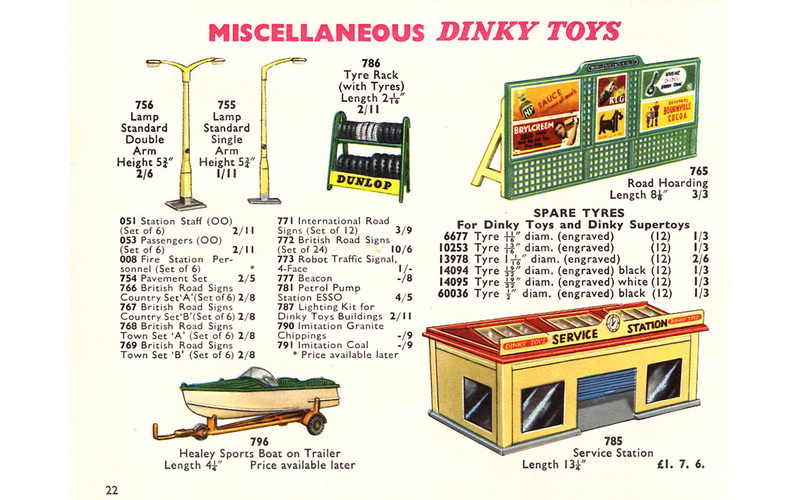 Cast on the back of the right inside leg: DINKY TOYS, and the left leg: MADE IN ENGLAND. Cast on the front right inside leg: TYRE RACK, and the left leg: MECCANO. 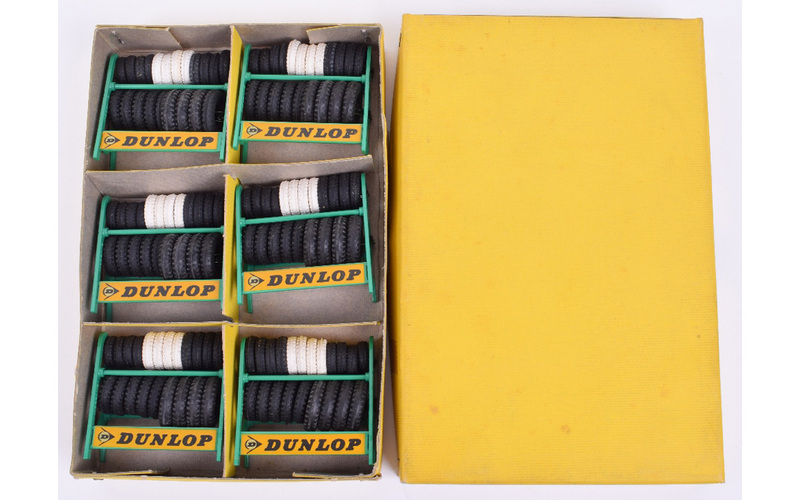 The early transfer is without Dunlop logo on the left. Job No. 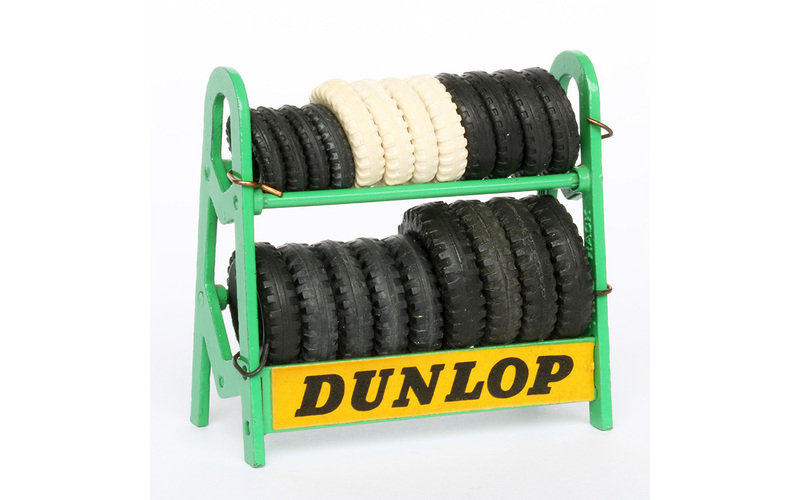 20950, Transfer for Tyre Rack (Dunlop) (small) dated 17 June 1959. 17-02-1962 Badge added, lettering modified (Richardson GBofDT page 208). However simple the rack may seem, it is composed of six single parts, firmly riveted together. Since it was issued in 1960, it contains no smooth but treaded tyres only (introduced mid-1957). There is also a more or less comparable rack in red, also provided with a Dunlop logo, but that is from another manufacturer. Who knows more about it? 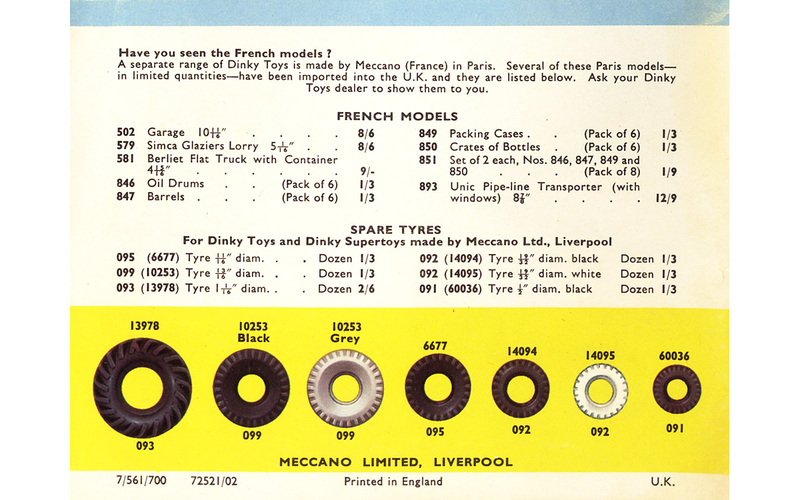 The factory drawing job 20950 demonstrates that on 17 February 1962 the tiny Dunlop logo was added to the Dunlop transfer (on the left) and a modification of the Dunlop lettering. The rack did not have an individual box but was sold from a half-a-dozen yellow trade box. Jan, the red rack was made by Wardie & Co. in their Mastermodels range. They were also sold under other brand names, and were copied by Hong Kong manufacturers in plastic. 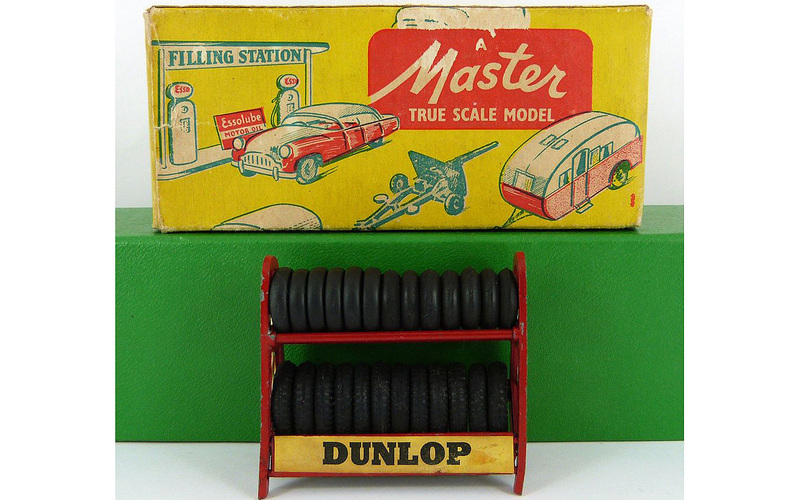 The Mastermodels ones are often mis-represented as "rare Dinky" on internet auction sites at inflated prices. Thank you Jan for this very interesting article on the tyres ! good job.